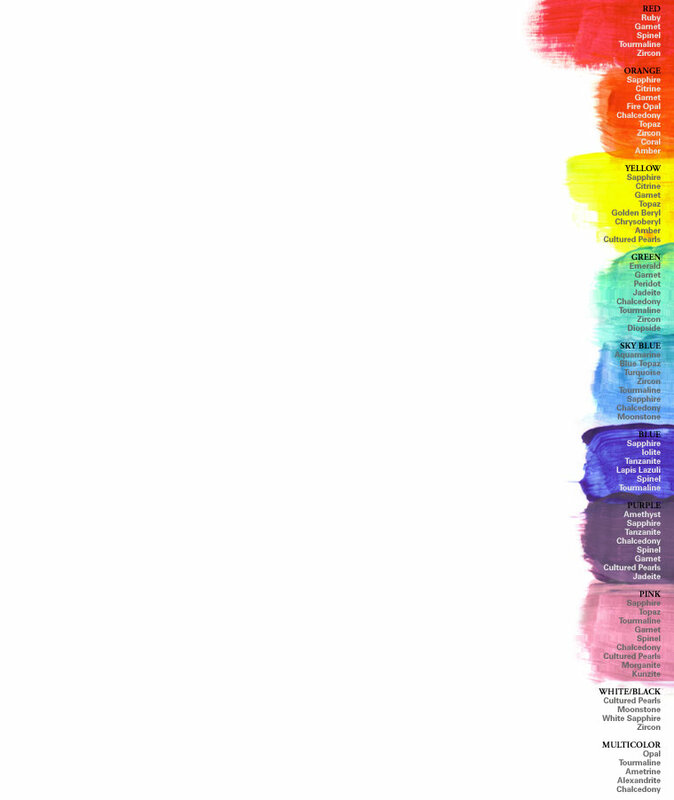 Purple and yellow are complementary colors: opposites on the color wheel that combine in surprising harmony. Think of the cheerful beauty of purple and yellow pansies or the elegance of a violet and gold iris. The quartz gems of amethyst and citrine, purple and yellow, also sometimes combine into a single two-tone gem called ametrine. Better yet, ametrine is as affordable as regular amethyst or citrine: you can have both gems for the price of one. Ametrine is especially inexpensive when you consider that it comes from only one place. The Anahi Mine in Bolivia is the major world producer of ametrine. The mine first became famous in the seventeenth century when a Spanish conquistador received it as a dowry when he married a princess from the Ayoreos tribe named Anahi. Ametrine was introduced to Europe through the conquistador's gifts to the Spanish queen. Ametrine is most typically faceted in a rectangular shaped emerald cut with the border between the two colors centered so the gem is half amethyst and half citrine. This shape accentuates the contrast between the two colors. Sometimes a checkerboard pattern of facets is added to the top to increase light reflection. Ametrine can also be cut to blend the two colors so that the resulting stone is a mix of yellow, purple, and peach tones throughout the stone. 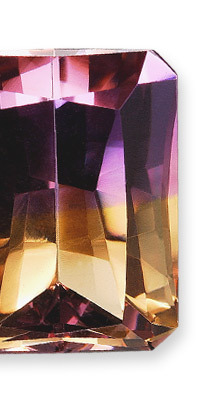 Ametrine is also popular among artistic cutters and carvers who play with the colors, creating landscapes in the stone. Ametrine is a very durable gemstone suited for everyday wear. Like other quartz gems, it has a Mohs hardness of 7. Most sizes and shapes are available but the color contrast is most pronounced in sizes over seven carats. Clean ametrine with mild dish soap: use a toothbrush to scrub behind the stone where dust can collect. Avoid exposure to high heat, which could fade its color.